All ArcoLinux packages received an number update to 6.7. Through this number we know the packages are created for the iso ArcoLinux 6.7 or May 2018.
termite got a new coloring scheme to make sure the Ascii logo looks good. neofetch got a new config so the Ascii logo looks good. Neofetch provides us with an Ascii logo now. You can at any time switch back to the previous config. The files are in ~/.config/neofetch. Shown in the video. 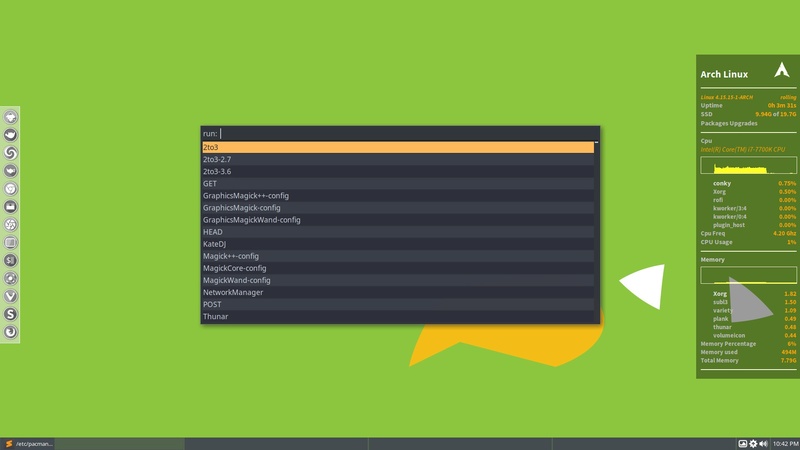 The following applications are part of this project of theming our terminals. 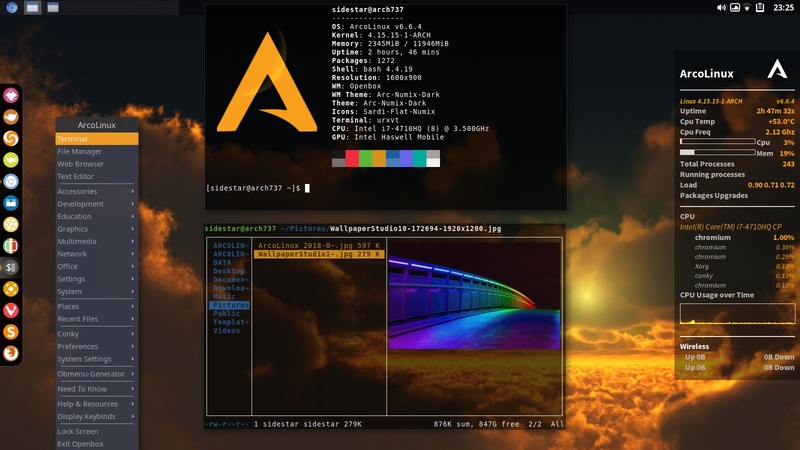 arcolinux-neofetch-ascii has been added to have an ascii look instead of the logo in termite and urxvt. 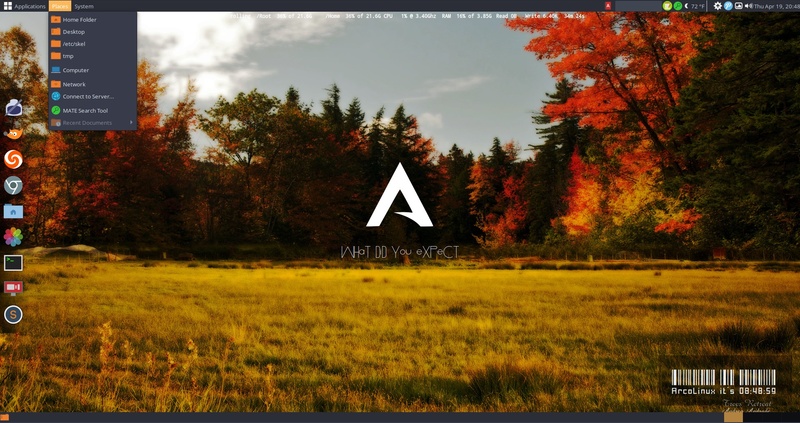 Arcolinux-rofi-themes 4 Arc themes have been created – more will follow to cover all Arc colors from the Arc themes. 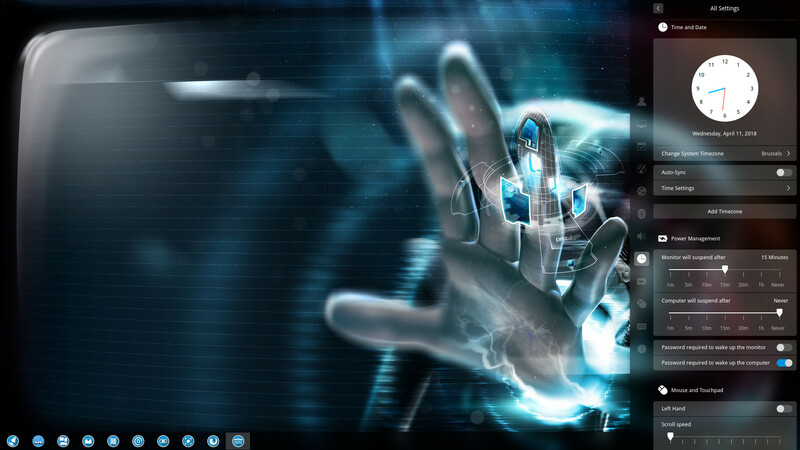 We added a package so you can choose more colored logo’s in mugshot xfce. ArcoLinux added a phase in the learning path. Phase 4 is when you build your own iso (BYOI) on the basis of ArcoLinux or ArcoLinuxD. There is no longer need to wait till we put an iso online on sourceforge. Just build it NOW. 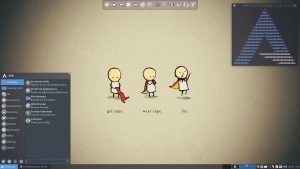 At any moment in time you can now build/burn your own iso and boot from it. You can find this information on ArcoLinux.com under Phase 4 BYOI and on ArcolinuxD.com under Phase 4 – BYOI. 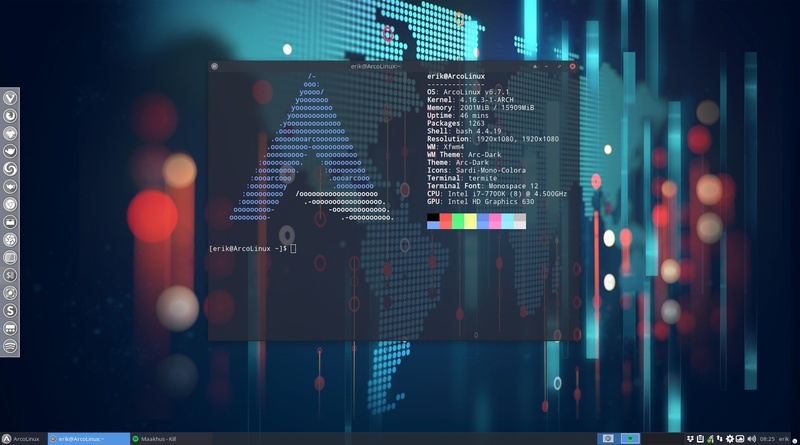 When we were writing the Arch Linux guides for phase 5 : how to install Arch Linux the arch way we seized the opportunity to have a new desktop environment. This can be installed on ArcoLinuxD too. They are on the github of ArcoLinuxD. Tutorials and articles will follow later. We explain to you an UEFI installation for newer computers. All the articles can be found on arcolinuxd.com.